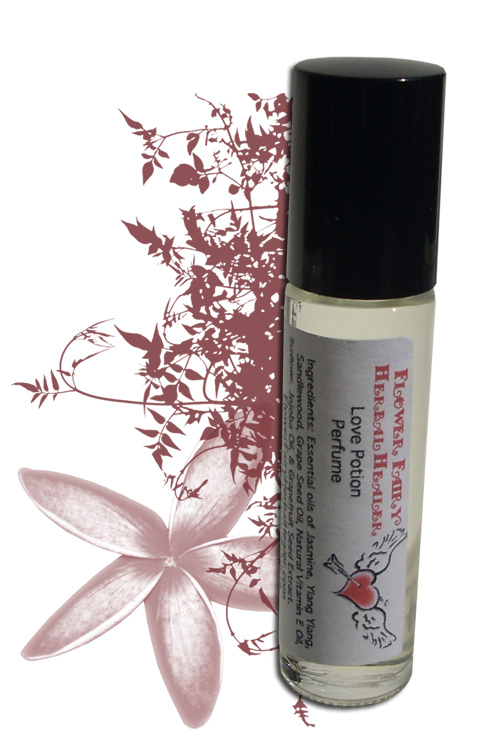 Description: A love potion oil blend that helps foster feelings of affection, inspires love, relaxation & creativity while working with the heart chakra & second chakra. ·Jasmine, Sandlewood, Ylang Ylang are valued oils in the world perfume industry. They are known to be physically & emotionally relaxing, sensual, increase creativity, intuition, inspiration, elevate spirits, calm the mind, help nervous tension, muscle tension, increase openness, compassion, romance & encourages positive emotions. ·Jasmine has a sweet, exotic floral scent. ·Jasmine and Ylang Ylang in many cultures represent hope, happiness, romance, love, and are used as beauty oils. ·Sandlewood is hydrating to skin, has a woody, exotic fragrance, and is sacred in many religions/traditions in Asia. Used in Indian culture for temple ceremonies, for relaxing, and for achieving higher states of meditation, spiritual elevation and inspiring insight. ·Ylang Ylang is sweet, floral, seductive, exotic, and intoxicating. The flowers are used in Indonesia, to cover the beds of newly weds. An aphrodisiac, which may increase sensuality. It also reduces stress & circulation. Balances out the male/feminine qualities. Directions: Use this natural, organic perfume roll-on on your skin to gentle scent your body and radiate the sweet-woody floral scent around you. Especially nice to use around the heart and pulse points on the wrest, arms, neck, tummy and feet. Also on to skin to soften, gently scent and moisturize. As an alluring, romantic, exotic sweet woody scent to foster feelings of affection, inspire love, relaxation, openness and to increase creativity, reduce stress and lift moods. Cautions: Avoid if nursing or pregnant because of it’s ability to bring on menses. Avoid using on delicate fabrics like silks or satin due to it’s essential oil content.